Sugary foods spikes your blood sugar, leading to a quick crash that results in fatigued and moodiness. Sugary foods although can taste great, do not sustain appetite and leading us to be hungry, usually within 30 minutes. Sugar triggers the brain similar to other addictive drugs thus creating uncontrollable cravings for sugar all day. When picking breakfasts food you want to make sure it passes the Altman Rule. Fiber and protein are key ingredients for keeping both your blood sugar and cravings in check! 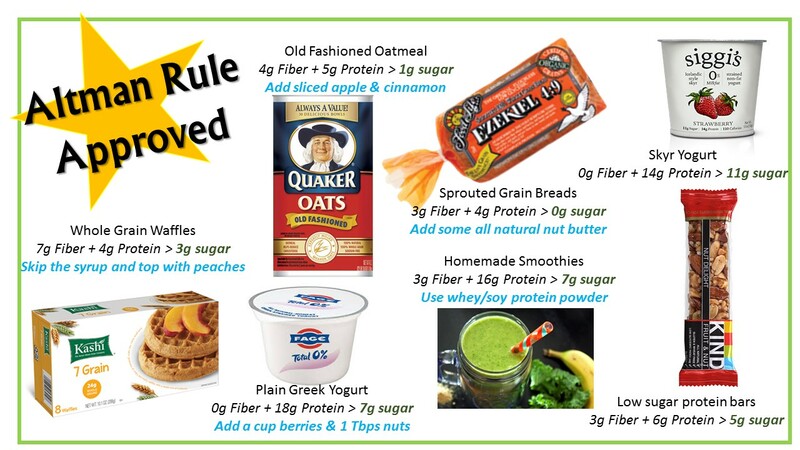 Altman Rule = grams of fiber + grams protein > grams of sugar. There are hundreds of Altman Rule approved grab and go breakfasts out there, it just take a little time and some creative thinking to have all the flavor without all that unnecessary sugar. If you have the time, nothing beats homemade breakfast. Quinoa a traditional dinner side or lunch salad has become one of my new go to grains for breakfast. After this long winter I have been craving the taste of summer. 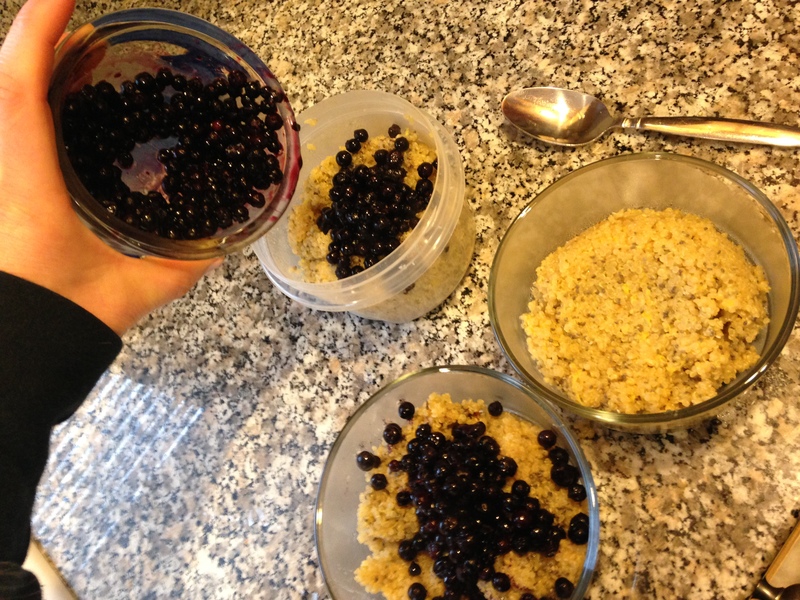 Nothing says summer like blueberries and lemons, hence the my new breakfast creation Lemony Blueberry Quinoa Breakfast. This is an awesome dish because it can be served hot or cold, made ahead of time and you can use fresh or frozen blueberries. 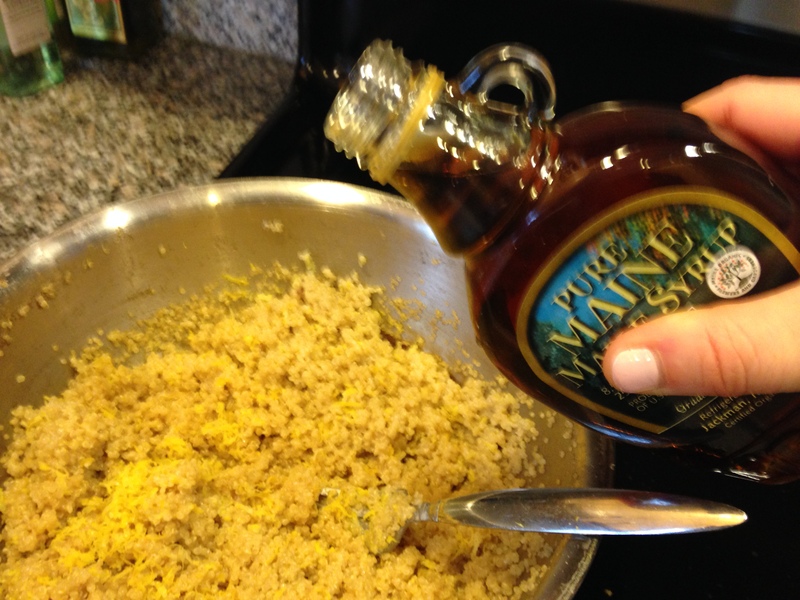 This recipe has all the sweet taste without all the sugar. 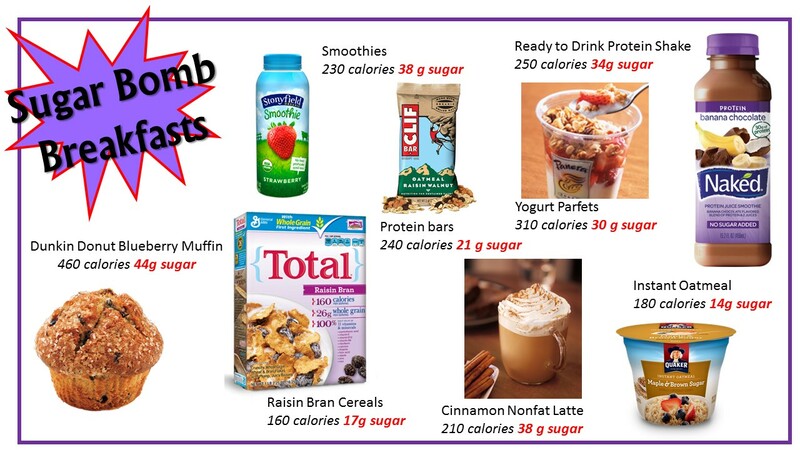 One serving has 271 calories, 7 grams of fiber, 12 grams of protein and only 7 grams of sugar. This is definitely an Altman Rule approved breakfast. 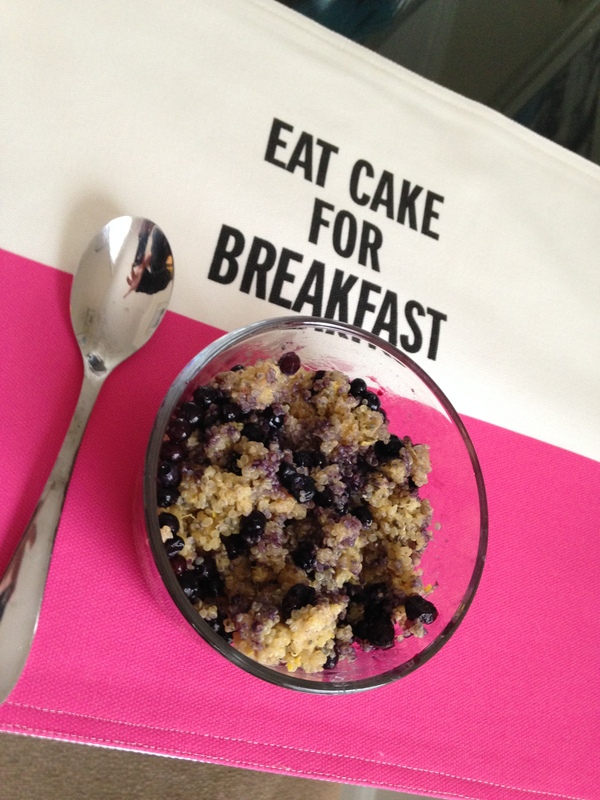 Homemade or grab and go, be sure to avoid those sugar bomb breakfasts! Step 1: Rinse quinoa to help remove bitterness. Step 2: Heat milk or water over medium heat until warm. Add quinoa and salt and bring to a simmer. Cook for about 20 minutes or until most of the liquid has been absorbed. Remove from heat. 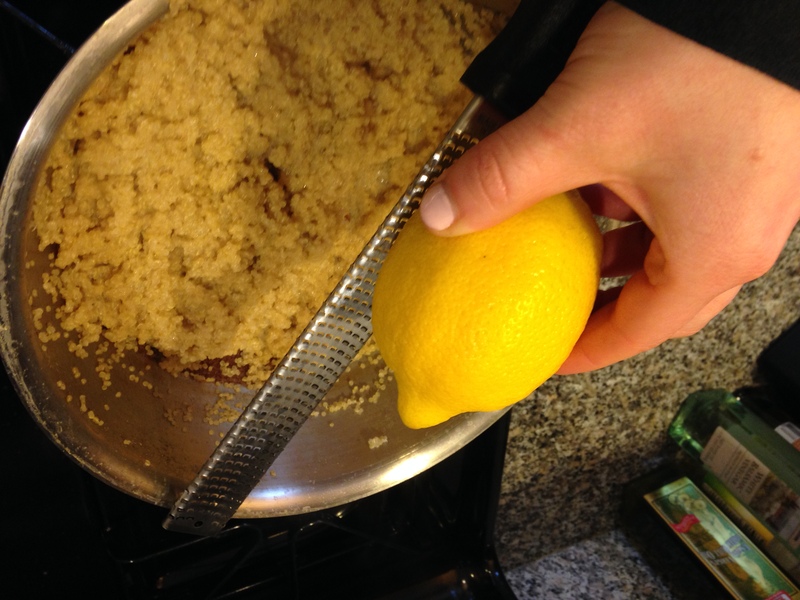 Step 3: Add zest of 2 lemons. Stir in maple syrup and chia seeds. Step 4: Divide in to 3-4 containers/bowls. Gently fold in blueberries. Enjoy! 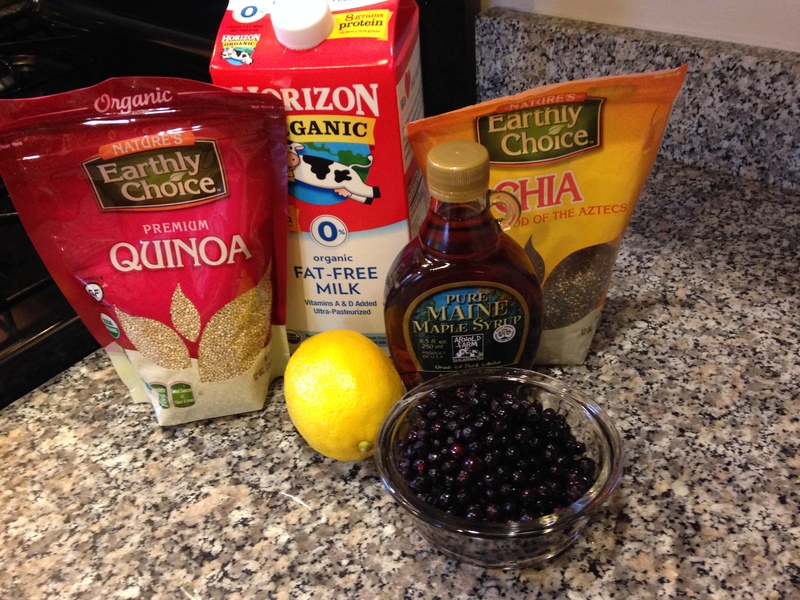 This entry was posted in Altman Rule, Breakfast, Brunch, Quick & Healthy. Bookmark the permalink.